If you are a small business that is eager to grow and expand, one of the essential things that you need to do is to create a website that will form your online presence and let people know what your mission and vision are, and what you have to offer. WordPress is a great CMS for creating your website, but you should also consider choosing a proper theme that fits your small business. Originally created in 2015, Divi is an elegant and modern theme that is designed for a variety of purposes. It's made to be a one-page theme and comes with great drag-and drop options, an animated slider, parallax scrolling, media files integration, and a whole bunch of amazing customization options. It’s fully responsive and comes with premade layouts that are great for starting up your small business WordPress-based website. If you are looking for a really unique theme for a startup business, then X is the right choice for you. In fact, one could consider X a theme package, as it provides you with four different design styles. You can customize it as much as you like, as every aspect of it is changeable. 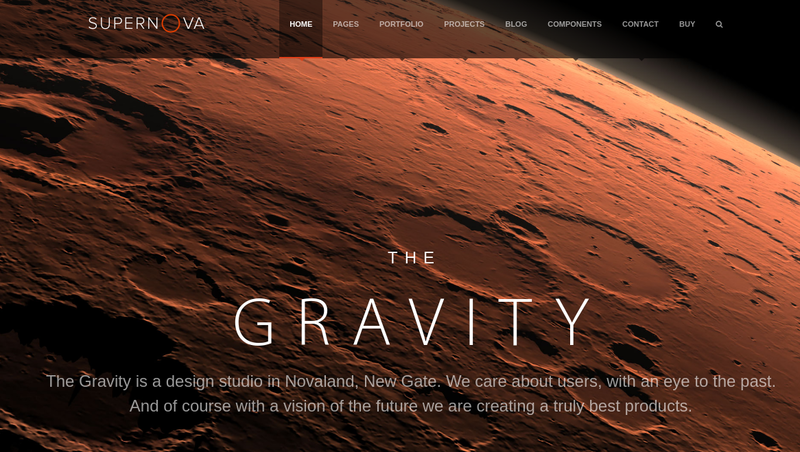 It’s responsive and Retina-ready. You are provided with a wide variety of layout and navigation options. Furthermore, it makes use of shortcodes. One of the best decisions when creating your first business website is to go with CV Business. It has an enticing and professional design that is focused on improving your business efforts and your relationship with your customer base. It’s a modern solution, with a fully responsive and interactive design. You can customize every aspect of it. It comes with custom post types and post formats and is multilingual ready. Just like X, it makes use of shortcodes, specifically over 80 of them. Furthermore, it’s an SEO ready theme, perfect for your SEO efforts. 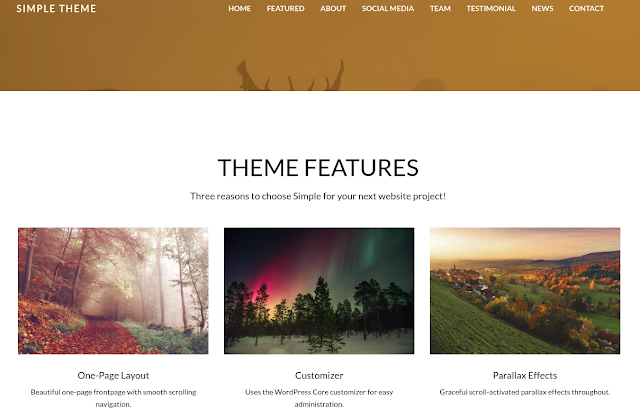 Another great and modern theme for your small business is Simple. 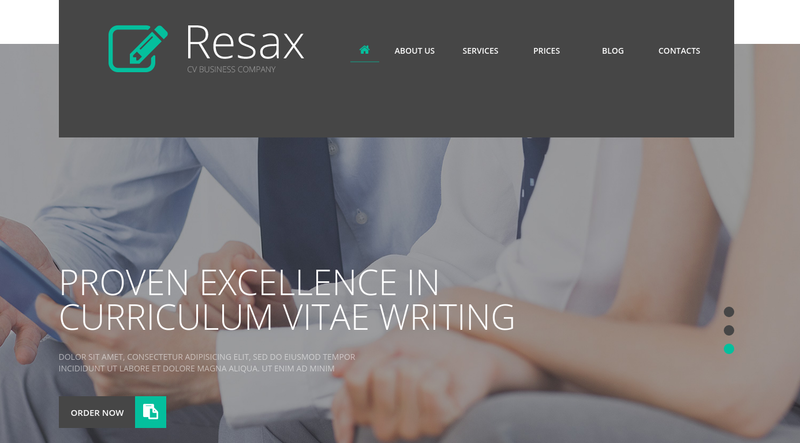 It’s a multi-purpose theme that focuses on one-page design, offering a brilliant full-screen layout, an elegant appearance, parallax scrolling, and neat-looking ribbons. 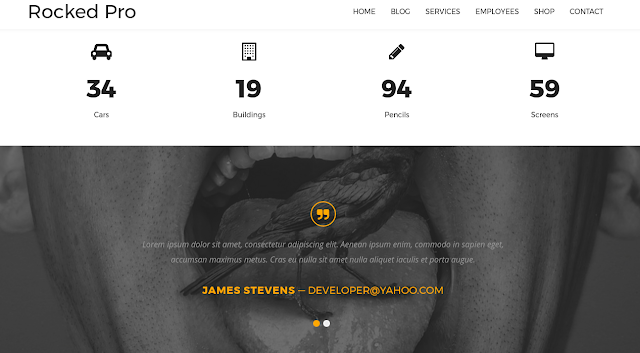 One can use this theme both for creative and business purposes. It offers a responsive design and photo-friendly layouts. There is an unlimited choice of color variations. Also, there is a variety of banner and slideshow options. Finally, just like CV Business, it’s an SEO friendly theme. Supernova is a great theme that provides you with all that you need to launch and promote a new business. You can customize it all you want, in order to fit your brand’s purposes. It implements audio and video post formats. There are a portfolio and an online shop as well. It’s Retina-ready and provides you with custom featured content. You can choose from a variety of Google fonts, and pick any font size and color. When it comes to customization, it’s a theme that truly offers you a wide variety of options. 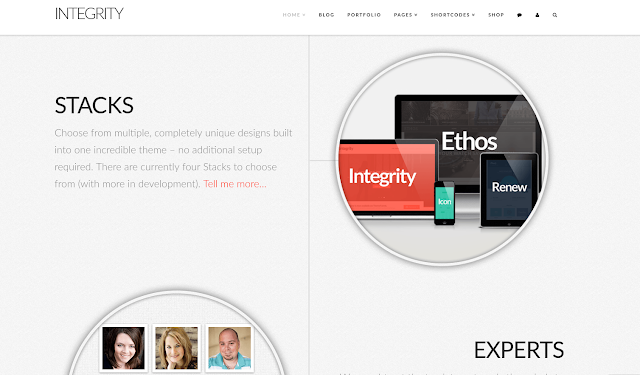 Rocked is a clean, parallax theme with neatly organized content. It’s really professional, with modern animations and visual assets. The colors that make up its main color scheme are black, white, and orange. It has a fully responsive design and provides you with a variety of customization options. It has a Crelly Slider and is WooCommerce ready. You can implement a number of custom widgets. Even though WordPress website design can seem like a breeze compared to a classic approach, it is actually quite challenging if you want to have advanced functions implemented on your website. That is the reason why it is best to either hire a WP designer or go with a prebuilt theme, rather than adopting a DIY approach.